REGISTRATION: PGFF Office, Ask for Roland Zamora, PGFFI office, Tel. Nos. 634-9187. 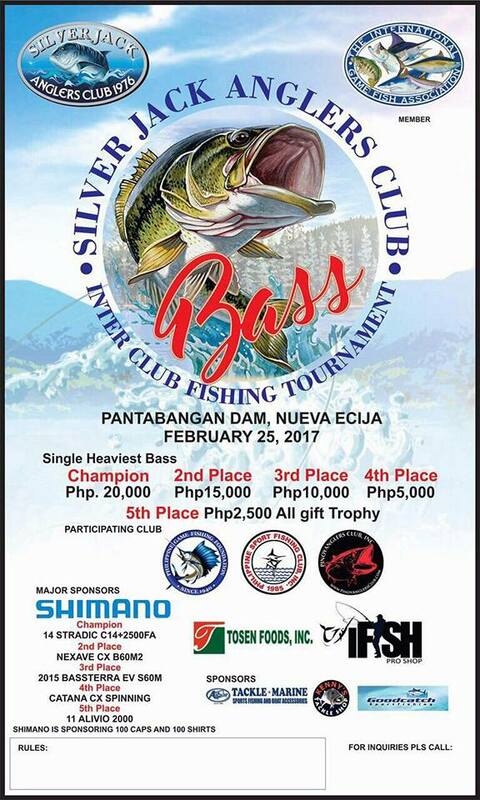 TOURNAMENT ENTRY FEE P500.00 NOTE: Boat, Board and Lodging, ARE FOR ANGLER’s ACCOUNT. METHOD: CASTING, TROLLING, DRFITING No fresh or live baits allowed.